Do you work for Bitbucket? Learning about Bitbucket? We can help. "It gives amazing integration with the JIRA tracking system"
Bitbucket is a nice repository for our coding etc. We use it in our department working between two countries. We can easily share our work and grant access without to much hassle. Our source codes are safe here and can be located in unlimited personal repositories or shared. It's simple and we can even invite project managers if they need to share coding with clients. It can be slow sometimes and it is also getting quite expensive when you get to be a bunch of users. Integrations are limited so you might feel like a need to buy other products from same provider. Searching of coding can be a bit of a hassle and if you find you don't have access you're kind of stuck and need to find the owner on your own. 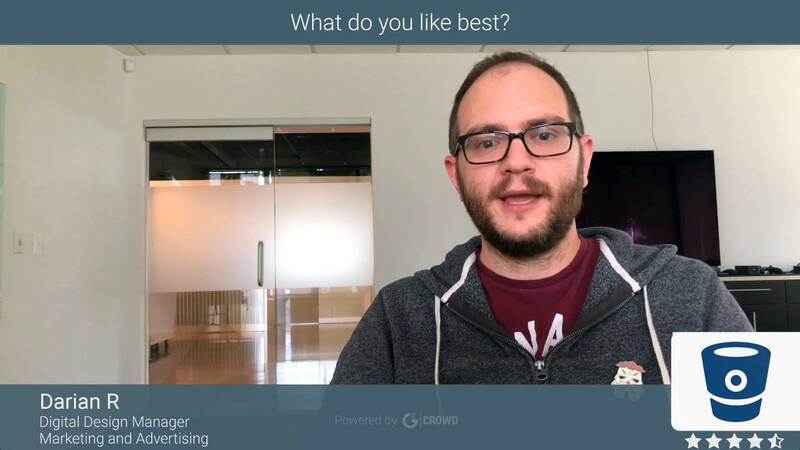 Make sure that your team size will stay the same once implemented as it can get very expensive and consider if you would like to work with Atlassian products in general. We have a place for out codes and we can audit what happened to them. We can share codes easily due to a nice interface. All developers can keep coding in local repository but also share. "Bitbucket is the primary codeshare and version control"
Bitbucket allows us to have a group account for the entire lab. We are then also able to have multiple projects split according to the kind of work we are doing, which can then be split into individual repositories which inturn have individual branches. The UI is clean, and easy to navigate to reach these numerous options. A problem which probably plagues all git systems is that when multi partner projects are being done, there can be several merge conflicts which don't have a good solution as yet other than manually undoing changes to reach the base version. Although it's not as popular as GitHub and that causes answer finding difficult at times, Bitbuckets own helpdesk/how to guides are very useful to navigate through any information you may need. Bitbucket is used for all our code at the lab. It allows for multiple users and also shows a good representation of the branches and when they split and the number of commits between them. The best thing about Bitbucket is its beautiful interface that, together with the power of its dashboard, allows you to easily manage several repositories and organize your work much better. This service has a dashboard very well designed with many useful options for the management of repositories, especially those related to privacy (allows private repositories). In addition Bitbucket allows you to import repositories of other services such as GitLab or GitHub by just entering the URL, the speed with which it imports the repositories is fast, it only takes a few minutes. The control tools for commits in the repository are very useful to check at all times that people have made changes, this history of commits allows us to see the user, the branch and the date in which the changes occurred. After having thoroughly tested Bitbucket, the only mistake I found is that perhaps the names of the menus could appear next to the dashboard icons in order to identify more easily which place we are accessing. Although over time they end up memorizing the menus for new people for the first time, it can be negative. The Bitbucket interface is very intuitive and beautiful, if you are looking for a repository manager to use from your browser, I definitely recommend this application because, besides pretty, it works very fast and allows you to configure many security options for repositories. I needed a repository manager where I could manage everything from a well-organized dashboard and that presented an attractive interface since I was going to waste a lot of time looking at the screen. In Bitbucket I found in addition to a nice interface a great tool to control my projects, in addition I could import all my repositories that I previously hosted in a remote server just by entering the URL.
" Great software with private repositories to store our codes." Because I like? it is very simple to say, it is because it provides the best private repositories and without limit of number that is to say you can create the ones you want, its interface is extremely nice which makes its use very simple, it is ideal to store a large amount of codes of organizations or companies and the best thing is that it offers a great price and can be integrated with several services. A sincerity I consider that it is one of the best software that was used for this function so that I have nothing negative to say, it is super complete. Bitbucket makes it much easier to check your peer codes or to carry out a control of your Hosting, thanks to the fact that it allows you to create unlimited private repositories ideal for your small, medium or large company and all this can be done in a very simple because it is very easy to use. In our company we use Bitbucket to carry out a follow-up of our large projects, and we compare our peer codes in order to carry out a better management of them, besides this it is very interactive and intuitive, so working with it makes everything very simple. "Very good version control system"
Bitbucket is very easy to use software service. The best part is that it allows having a private repo with up to 5 people inside. This is a very good feature for startups and small teams to have code under the private repository. With bitbucket the code review process is very easy, you can write comments make changes right inside the pull request or commit. It also has all integrations with other Atlassian's software which can save a lot of time. Once your project up and running with more people (more than 5) the price is very affordable. I have been using bitbucket for 3-5 years and so far there are no points which I dislike. The only thing is that the service becomes down for a few minutes and this is really frustrating as no code or commands can be deployed. And another point is that the repo has 2gb size limit but I don't think this is a case as it supposed to store only code and note media files. This is a free software service which supports private repositories for up to 5 people. I definitely recommend to give it a try as it is free (for small teams and projects) and very easy to use. Nowadays when the project consists of many people there is no way to work on the code by one. The whole team work on the project and bitbucket gives the ability to control the code flow and the software versioning. It has all the tools which make the development process very easy and smooth. BitBucket allows us to have private repos with very easy to use interface. And in case you are working on a small project with a team up to 5 people you don't need to pay anything. "Bitbucket Server gives you full control of your code"
It is great to be able to do the code review within Bitbucket. Bitbucket work perfectly with all the other Atlasian products. The plugin collection is pretty good. And the quality of the plug is great too. 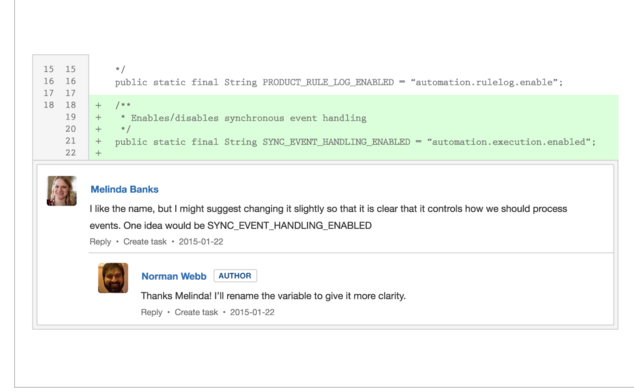 It does offer a great interaction with Jenkins to execute CI/CD. We don't like the fact that Bitbucket Cloud and Server or so much different. We would have though that the later is the same has «bitbucket.org», but on premise. It is not, it is a different product with different set of Api. The plugin market is great, but the price to add some basic functionality is something ridiculous. Bitbucket is great and cheaper than other git management solution. If you don't want to do an in house installation, use bitbucket on cloud. 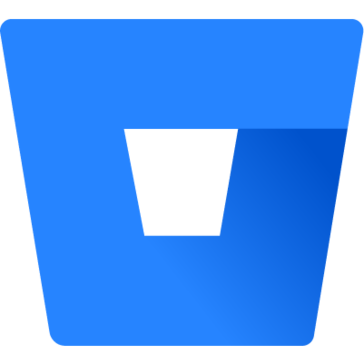 We have move from different set of tool (gitolite, fisheye, crucible) to a single product Bitbucket. It has reduce our product costs and maintenances fees. "The effective solution for all team." I like the way of distributed release monitor system that makes it simple for us to cooperate with our working team. Always have unbroken access to the data center. The freedom to use our productivity quicker and from anywhere in the world. Wonderful tools to learn about. Very good opportunity to manage all working steps which are really very easy and doesn't bring any bad issues. I don't have any ideas what you can to change on this software as I know that this program completely suits me. The bitbucket for sure will present to you a higher quality which you rea strongly need. Will provides you a benefit in communicating with all colleagues which you require. The better way to receive preferably involvement in your team. Definitely, we completely enjoy with our working tool. We guess that we found the key to valid work which will help us to operate for results. Also, we have the opportunity to work with the big amount of our documents and we can store all of them in a very large memory place which is really very helpful for all of the team. "BitBucket is a Great Alternative to GitHub"
Easy to use and understand and intuitive. Issue tracker is easy to use. But the main reason I love it is due to its pricing plan which blows GitHub's out of the water. Bitbucket offers private repos for free up to 5 members and if you want to add more members then there is a cost, whereas GitHub only offers private repos with a paid plan. I don't like how each site has their own slight variation on the poorly defined Markdown markup language. I wish it adopted CommonMark which was started by recognizable figures in industry to better define the Markdown specification. I don't like their size restriction of 2 GB on git repositories (although to be fair this is more an issue with git's performance at those sizes rather than an issue with BitBucket itself). Definitely start your private repos here instead of GitHub which is only more popular because they were established first. BitBucket allows me to host private git repos for my multiple side projects which don't make revenue and I wouldn't be able to afford otherwise. I also don't have to worry about paying if I want to give a few others access to my repo when working with others. With Bitbucket I can save my Git repositories in a safe and very reliable way. I have been working with this tool for several years and I have not had a single problem with it. There's nothing I can say that I do not like. With Bitbucket I have achieved everything I expected to save my development projects. Perhaps the only thing I can mention is that working with the new templates to deploy a project can be a bit confusing at first, but on the Internet there are many guides that can help you solve that quickly. Bitbucket for me is the benchmark in the market. Perhaps many may be inclined to use Github, but really if you are in the corporate sector, Bitbucket is for me the best option. Because we are a company that develops software, we need a reliable private repository to store our projects and share it with the entire development team. Bitbucket provides this alternative in a very reliable way. It also allows us to review the code and create pull request so that including updates without revision in a branch is very difficult. "Excellent Version Control System For Businesses"
Not only is this solution to version control cheap, but it is excellent. This system can be based off of git or mercurial which is a huge plus to developers who are used to either of those systems. The price is either cheap or free depending on how you use the system which is a huge selling point to businesses like ours. It also has features such as an API that you can integrate into your projects. The only dislike is that the GUI client that is available for download is a bit confusing. If you aren't familiar with git based systems and using CLI then this can be quite confusing. The main recommendation that I would have for those who are switching to Bitbucket is to know if you are going to use it as a git or a mercurial based system. If you are using it with a Git based system, make sure that you understand the Git CLI so that you can better resolve any issues that pop up. We are using Bitbucket as a means of version control. We have realized that Bitbucket has much better features compared to other free systems such as Subversion. "Great Private Repos for Teams"
BitBucket's interface for configuring your git repos is fantastic. Additionally, the ability to search code, review pull requests, and monitor your team's progress is great. Set up was trivial - we switched from self-hosted mercurial to BitBucket hosted git (even though Bitbucket can host mercurial repos). It took about 2 hours total to make the switch. Most of the time was spent waiting for the upload/push to complete. We were able to keep commit history as well which was a major plus. The new UI change makes jumping between repositories difficult. For a startup, each developer works on multiple repositories and switching between them can be cumbersome. Try it. Set up an account and add a remote server to your repo. Push it there and then poke around and see how you like it. The nice thing about git/BitBucket is that it's very easy to try and to set up. Take a close look at the branch permissions system and then the pull requests. Having git hosted and managed for us has save us time managing a dev server. Additionally, having the ability to manage permissions and review pull requests simply helps our team spend more time developing and less time fighting git. "Most balanced git service I've come across"
* I believe it achieves the right balance for the Freemium model in the git SaaS world. I found Bitbucket hit the right spot when we started up a few years ago - the pricing model is right (especially for a startup) and they are a rock solid service (only a few intermittent outages). Comparatively, Github pricing is all wrong for a startup (private repos cost on a per developer level), and GitLab is young and really wonky in both usage as well as uptime. We needed a capable git SaaS that allowed us to create private repositories without having to pay a lot because source code repositories are fundamental infrastructure that you want to stress test for a while before committing to it. Paying up front (like for github) creates a powerful disincentive to leave even if the service doesn't turn out to be optimal. I also feel that Bitbucket seems to charge for the right features. As an example, they started charging as soon as we exceeded 5 users. This is very startup friendly - we were strapped for cash early on but a bigger team is a good indicator of financial health and is a good time to start charging for access. "Wonderful software which works simply for us." Bitbucket works simply, has a clear interface and many functions that we use every day. In addition, a lot of integration with different services, branched out the structure of files, which, compared to others, greatly simplifies and speeds up the work. Has a free trial, which is ideal for a start-up or small business. I'm glad that I don't see any bad issues about that platform. Maybe time to time process can be slow but it is not a big deal as all product wor well. By the way all of the help from support service you can get online which is save your time. If you want to have good quality in the workflow, it will be useful to use software such as Bitbucket. In addition, this service will provide the opportunity for better cooperation between members of your team. And yes, if you are a representative of a small business, then you may have enough free version features. Bitbucket is a tool that provides us with an excellent online repository for visualizing and sharing information with my team. This gives us the key to effective work that will help us work for our results. We are happy, and we are sure that Bitbucket is created for this. The better way to provide granular access monitoring for our team, ensuring the right user can make the correct changes to our code. Also, I like that I can save time combing via application results with a semantic search that ranks determination first. I can't say that this program is not strong enough. During the working time, I never have a problem with this. To manage all of the stuff is easy and does not have any bad issues. This is wonderful option control system that makes it simple for you to cooperate with your working team. Also, you can enjoy flexible development models for teams of all rates and needs. The best step to have unbounded personal and public storage with Bitbucket. I recommend this a program. This program gives us the assurance to develop. We can decrease our mistakes and keep the team lean working on critic tasks. Also, we have the ability to store and control our create configurations in a single file. "Git versioning that is affordable and easy to manage"
"Source code management through Bitbucket"
Bitbucket is source code management tool where organizations can create projects and repositories where developers can store their code. Bitbucket is based on Git. 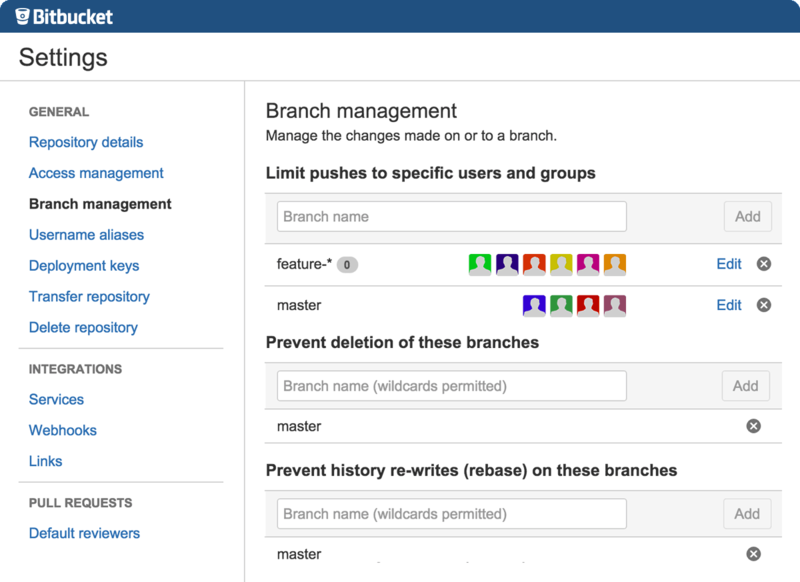 It has default branch master and for parallel development users can create n number of branches and through Bitbucket branches can be managed easily. Bitbucket server can be installed on cloud with cloud formation templates with less effort of using amazon services. Bitbucket data center supports Bitbucket mirroring through which user in different geo graphical location can access Bitbucket without latency. And projects can be mirrored to the different regions based on the project teams. One an fork their repository and will be able to get changes automatically through this feature. "Rock solid web versioning system"
In terms of features Bitbucket is generally on par with the popular version control repository system Github, however, one key differentiator in Bitbucket is that it allows administrators to exercise a fine control over access - a very nice perk. Another thing I like is that adding collaborators in private repositories is generally cheaper than in Github. Bitbucket inherits certain stylistic stuff from Atlassian products, which at times, I've found kind of alien. As an example, sometimes documentation is not clearly laid out or makes use of specific Atlassian jargon so grasping the concepts is not always very straightforward. Bitbucket is a mature product mostly focused on hosting propietary software code. It embraces continuous integration and delivery processes very well. It is definitely worth to consider from small to large software teams. Super fast and very good work. Big helper to make your team work perfect. All of the process easy to control. I like that we can work better with a good cooperation our work is much better now. I like to use a lot of good tools. Actually very easy to easy and good to understand. Tools are very useful and very good to work with them. Any problems which are coming to you, you will easily solve them with support service. Very powerful tools to make your project well. Perfect that you can easy to communicate with everyone. The ability to cooperate with all your team and make your work more effective. Great software to have at the company. We like to do work on our results. The Bitbucket is much better for it. We are working good so we are having a lot of folders but we are not afraid as we know that there is a lot of place in storage. "Great free service to use"
Excellent integration with Git. It is possible to use Git Large File Storage if you have large assets or data bases. Good opportunities for monitoring rights and administration. There is the possibility of integration with many services to facilitate the development process, for example we use integration with Trello. Excellent documentation, if we had problems we easily found the solution in it. No small price if you have a large development team, but if you are a beginner startup there is a free version of up to five people. Sometimes there are problems in the operation of servers. Bitbucket is made for large and professional development teams. Bitbucket also supports small teams and startups. If you are only five, you can use the service for free. In our company there are remote offices. Bitbucket helps us to work with them. Exchange code has become simple. "Awesome version control for enterprises"
Bitbucket is an ideal solution for all types of companies that are looking for version control and somewhere to host and store their files. Some of the items we like best at our company are the version control, the issue previews, the file system hosting. Many other competitors charge for private repositories but bitbucket actually bases their prices on users, which makes it super affordable for smaller teams. Bitbucket also does a great job allowing my manager to review my code before committing it to the branch. Which means better code review and a better quality product. No massive community to support it like Githu, Also its learning curve is a bit steep for new developers. "Great Version Control System for Private Repositories"
Bitbucket is an ideal solution for many small companies that are looking for version control and somewhere to host their files. Some of the items we like best at our company are the version control, the issue previews, the file system hosting, and the overall pricing model. Many other competitors charge for private repositories but bitbucket actually bases their prices on users, which makes it super affordable for smaller teams. Bitbucket also does a great job allowing my manager to review my code before committing it to the branch. Which means better code review and a better quality product. Bitbucket also has some downfalls because it doesn't have a massive community behind it like some of their competitors. Additionally, their desktop application "SourceTree" is full of bugs which can make interacting with bitbucket a pain for new developers that aren't used to working within terminal. In my company we are using this for the majority of our products because of the price. If your company is looking for a relatively cheap solution and having your repositories being hosted on a service it would definitely be worth checking this one out. With their pricing solution you can have as many private repositories as you want, you just have to pay for users. It is an idea solution for smaller teams. We originally got bitbucket just for storing files for sharing and to be able to work on the same project with similar files. One of the great features we realized are are the great Version Control it offers. "To make teamwork create more best Software." The great solution to create the best team.I can control process that makes it easy for me to cooperate with my team.A lot of kind of tools for everything. How to say.It's will be not so easy to use but just from the begin. I guess it is not so big issue to discuss it. But anyway if something happened that you cant solve by yourself. You can contact a support service which will give you the best help on it. The tools that help you to create great software. Also, I would like to tell that to communicate and cooperate, it's the best way to focus more on what that we can do our work. We like to work with Bitbucket, It always saves time through use results with a search that description first.Helps to us to use big file storage.Helping my team focus on a process by organizing our storage into projects. "Bitbucket | Unlimited free private repos"
Two options, GIT and Git provide us with great and wider options for client side too. Git GFS is an additional feature everyone must try. It opens a wide range of new things you can upload to git file structure. Code review is a important thing to ensure better code quality in company and Bitbucket even provides that sort of features in their product. Some basic UI Issues. Other than that, I have no particular issue with this product. It is used as CVS (Content Versioning System). It is widely used for rolling back to older versions whenever bugs are discovered. In order to avoid that, we also have A-B testing of code and gradual rollout so that there might be less mishap in those circumstances. Bitbucket helps in reducing errors in code too. "Great for small teams or individuals"
- Private repositories are free for individuals plus teams get their first 5 users for free. Bitbucket doesn't have provide interesting projects metrics like Github's Insights. Sometimes these graphs can be useful to judge cadence of a project. It could also use some of the code-review features that Github has. If you need more than 5 users, then it would be a good idea to compare pricing with Github. Also, because of how git works, you can easily move your master/origin back and forth between Bitbucket and Github (or any others for that matter). We use Bitbucket for git based version control hosting. It's allows us the freedom to create as many repos as we need for our various projects. 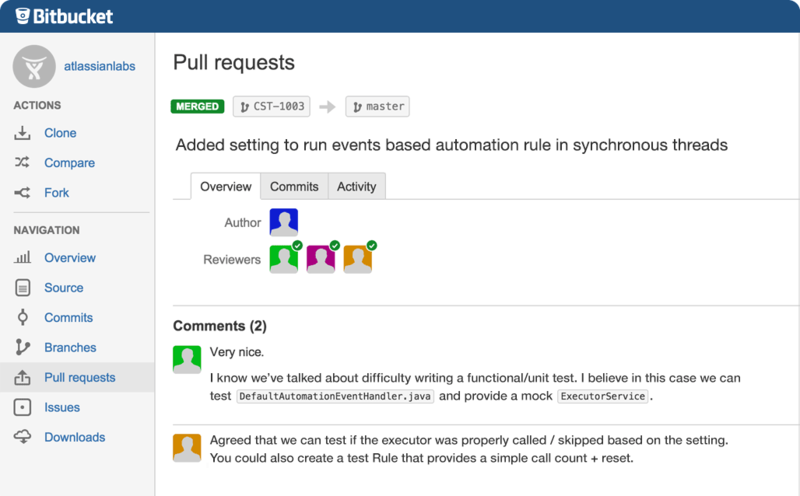 The best part about using bitbucket is that it works with JIRA software for providing feedback on version changes. GitBucket is similar to github and with GIT support providing similar function version control and team source code collaboration and peer review. As of right now I have not find any specific feature or characteristics that I do not like about BitBucket. It works very similar to GItHub which makes it easy to pick up as a source control product. The integration with team-based project creates a seamless environment and require no additional knowledge in understanding how to use it. 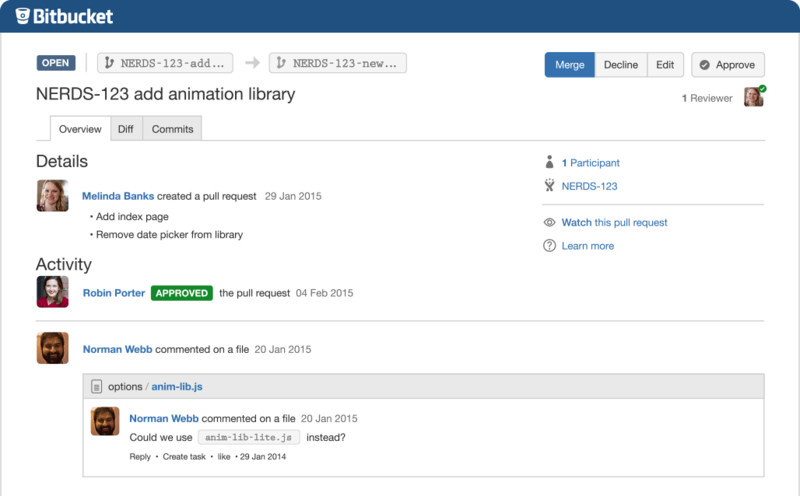 Bitbucket is easy to use and seems like a great alternative for version control towards project management. Gitbucket is similar to other version control user interface. I am using gitbucket for coding project collaboration and management. "Bitbucket for your file versioning"
Bitbucket is integrated with Bamboo and Jira which provides a complete set of tools for our software development. You can track from the beginning of an issue or story or task everything related to it: its documentation(from Confluence), the branch where the code is stored, the build that contains that code and the deployment that contains that feature or bug fix. Other very nice features: push requests, enforced code review, create a branch for an item in Jira. Bitbucket tends to be expensive based on the number of users: if you have more than 100 users the price will be in tenths of dollars, which for my company may be an issue. This caused us to look for alternatives like using bare Git in automations used by a wide range of users. If the purchasing software is not an issue for your company and you use Jira or Bamboo, Bitbucket is the way to go. Version control for our code, having a better control on the source code by enforcing code reviews; Continuous delivery, continuous integration. The best thing about bitbucket is, it gives you a private repository with a limited amount of file storage in its free version. It means you do not need to pay anything to get a private repository. Once you get used to it you can switch to Bitbucket's standard package. The pricing for this package is not very high. The help option on Bitbucket has a very decent documentation that can help beginners to get along with this tool. In Bitbucket, you can only use git commands to update and maintain versions of the repositories. This is where Bitbucket falls short to gitHub, where users can manage their repositories by using the Gui as well. However, I do not think this is a big issue. Since we can assume that the targeted users of Bitbucket (Developers) are pretty adept on using git commands. Also, the blog section of Bitbucket is not something to brag about. But, apart from that the software itself is very neat. Easy to navigate. Bitbucket is cost-effective for people working in small teams. If you like to manage your repository using git (provided that you know your way around with git), Bitbucket is way better than gitHub. In our Lab at the University of Arkansas, we manage our software codes using Bitbucket. Since we have small teams working on different projects (usually 4-5 people per project), Bitbucket is a very good fit. It is easy to maintain versions of our repository while working collaboratively. The best thing is , its very developer friendly with 5 private repositories free. This makes it ideal for your poc products or even pilot launches needing 4-5 developers working on the code. Also, some of the cool new works like aws codeDeploy (a continuous development tool ) is again, simple to use and 'free' which makes it even fun to use as a developer. Jira integration (being an Atlassian product) is pretty vast. The front end is cool. All in all a great git solution. Honestly, not much to write here. One enhancement that could come in handy is web hosting pages how and like Github does. Also, integration with other software (outside Atlassian) would be nice to have. It is a highly useful product for day-to-day project management. Very useful for developers wanting to kick start their dream projects, very useful for teams collaborating on a big project. Loads of integration. All in all, a great product. Private repositories for POC projects with 4-5 developers working in each team. "Great and simple to use code review tool and code base." I like the visualisation of code reviews. Compared to other platforms used in the past, this one seems very easy and intuitive, has great options like side by side or unified diffs, and it is very simple to use. It is also a great tool to store code repos, and be able to access to quick to different versions and files within those. I really have nothing bad to say about this, compared to other tools I use for the same purpose this is definitely the one I would choose over the others. I highly recommend bitbucket, it is a great tool, lots of functionality and very easy to use. We use bitbucket mainly to do peer code reviews, to have a searchable visual way to work repos of multiple projects and compare amongst versions and branches of each. It is easy to setup and very intuitive to use so we highly recommend it. "The best version control repository"
Bitbucket is the next step on version control systems and much better than solutions like CVS o SVN. Bitbucket web interface is outstanding. It allows user to easily review the different repositories, look each repository branches status, relationships and differences. The network view on the repositories is really useful to see the history of changes, merges and branches of a repository. The option to launch and review pull requests from the web UI improves team code review, allowing developers to adopt good programming practices in a shortest time period. The connection of Bitbucket with JIRA really boosts software development having both the product backlog and the version control repository connected in a seamlessly and straightforward way. Based on my experience with Bitbucket so far, there are no disadvantages on using it. Bitbucket increases productivity and improves quality on software projects with developments teams with more than 3 people. "Excellent platform for git-based version control"
Amazing tools for managing code review and branch management. In addition, although this is more company-based than product, the Atlassian dev blog is a fantastic resource for learning about proper git flow and project management. In addition, Bitbucket has unlimited private repos, which are necessary as my team works on closed-source code. - new UI; I prefer horizontal menu bars, but this is really just personal preference. - All commits made on the web client itself do not follow the git best practice of using present imperative tense + mood. - Going to a new repository always takes you to the source code first rather than an overview, which doesn't have the URI for cloning. An extra, unnecessary step that can be easily avoided. Make sure you consider the necessity of private repos. That would be my foremost concern when weighing options between different git hosting platforms. Bitbucket provides a central remote repository to host code versioned using git. 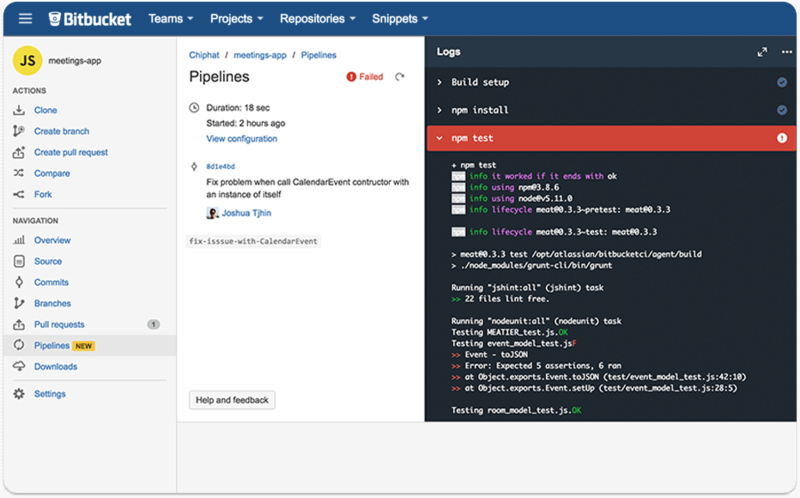 In addition, Bitbucket provides a suite of tools for code review and management via branches and Pull Requests. "A Near-Perfect, Free, Private, Repository Solution"
Free and unlimited amount of private repository hosting for small development teams of up to 5 people/developers per repository. It seamlessly integrates into other Atlassian tools and services with little hassle, enabling a fluid experience across all their platforms and services. This allows development teams to easily track issues, reference those issues in commits, and deploy based on those references in a centralized and familiar environment. It includes many of the features you would find in many other repository hosting providers such as wiki's, issue/bug tracking, etc. with the added bonus of being the only one that provides free private repos on this sort of scale. Easy repository management, nice code view, fair & balanced licensing terms, and cloud-based deployment possibilities. I have a bit of a love/hate relationship with it's user experience. Some aspects of it are perfect. Like in terms of general aesthetics, the design elements are wonderful. But when it comes to presentation and organization of information, it's a bit convoluted. Much more than is should or needs to be. My second main issue is the complexity behind setting up auto-deployments for web-based projects. It's much more complicated than it should be. Coming from Beanstalk as my main service for private repositories, where setting up auto-deployments was soooo simple, switching over to Bitbucket had me a bit frustrated. Not because it was a necessarily a big struggle to set it up, but because it simply didn't make any sense why it would have these layers complexities when competitors who fail in every other way can do this one thing so much better. If you need personal, private repositories for you projects or are working with a small team (5 or less) and also don't mind getting your hands dirty setting up auto-deployments if you need them, then there really isn't any reason you shouldn't use Bitbucket. Being that we work exclusively in small development teams or solo, this provides the perfect solution for all our code repository needs and any personal projects that aren't open source. Almost everything that I'm developing which isn't open source, goes into the Bitbucket. Adding the fact that we use other Atlassian products, the development cycle is faster when integrating those products with Bitbucket. "Best private Git hosting for individual developers or small teams!" I like that I can have unlimited private repositories and not have to pay to host them. I also enjoy the ability to set key pairs per repository which is really nice for managing deployments and hooks with other services. It's also nice how I can separate my work stuff from my personal stuff without too much of a hassle. I think the thing I dislike most is that is an Atlassian product, which has kind of a sour taste in a lot of other developers mouth. I honestly don't have any bad experiences with Atlassian products but just mentioning their name or names of some of their products to my colleagues will turn them off. It's painless private git hosting for a small team. That's all their is to it. "It is a very good tool for distributed version control system"
Most of the tools are not coupled together, I have to authorize my account before I can use the jira board for example. Bitbucket is a good solution, they add new features often, the only con is that most solutions are not coupled together, you need to visit different domains to access different features. for example, if you are using the jira board, you will have to login to atlassian, if you want to use the code collaboration feature, you will login to bitbucket. I use it for code collaboration, mostly private repositories. I also use it for continuous integration and since it has jira board, I use it for agile methodology. "Great tool for collaborative coding"
Fast, free for small projects (5 or less people), uses GIT as version control. Maybe it would be nice to be able to use different versioning systems, but it's really not a big problem for us. I believe the pricing system is pretty decent, so if you're looking for a place to host your GIT repository I would highly suggest considering BitBucket. If your team is small (<5), it's free, so it's hard to beat. Finding a reliable system for having an online, private repository for our code base is very useful. "Great Version Control Platform For Teams & Private Repos"
The free tier allows for private code repos that can be easily shared amongst your team. In addition, Bitbucket allows for integration with popular project management platforms. Setup is very easy and includes functionality not seen with Github. If you not working privately with an internal team, Github probably offers better access to an open-source community. If you need private code repos and are working with a large team, try Bitbucket to see if it fits your needs. Version control for internal teams for projects that require private code repos.